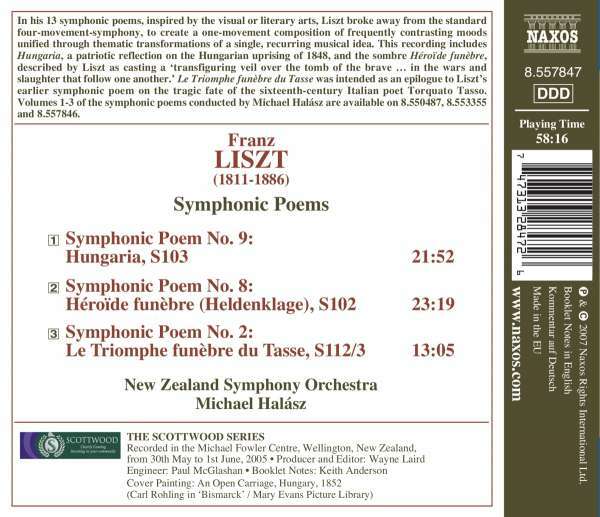 In his 13 symphonic poems, inspired by the visual or literary arts, Liszt broke away from the standard four-movement-symphony, to create a one-movement composition of frequently contrasting moods unified through thematic transformations of a single, recurring musical idea. 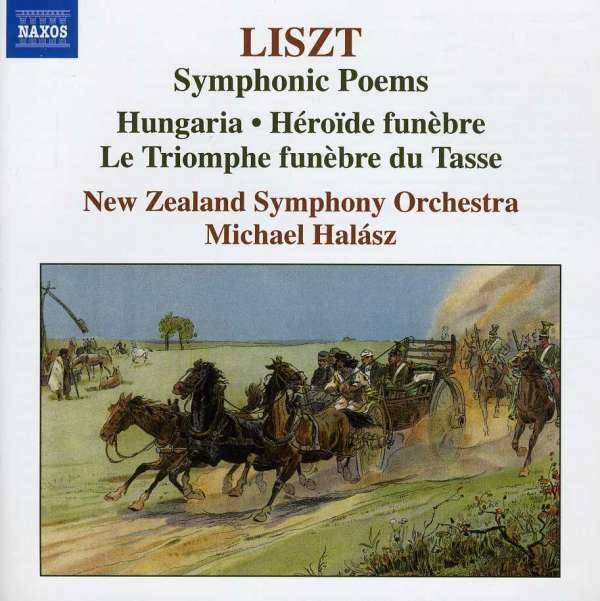 This recording includes Hungaria, a patriotic reflection on the Hungarian uprising of 1848, and the sombre Héroïde funèbre, described by Liszt as casting a 'transfiguring veil over the tomb of the brave ... in the wars and slaughter that follow one another.' Le Triomphe funèbre du Tasse was intended as an epilogue to Liszt's earlier symphonic poem on the tragic fate of the sixteenth-century Italian poet Torquato Tasso.